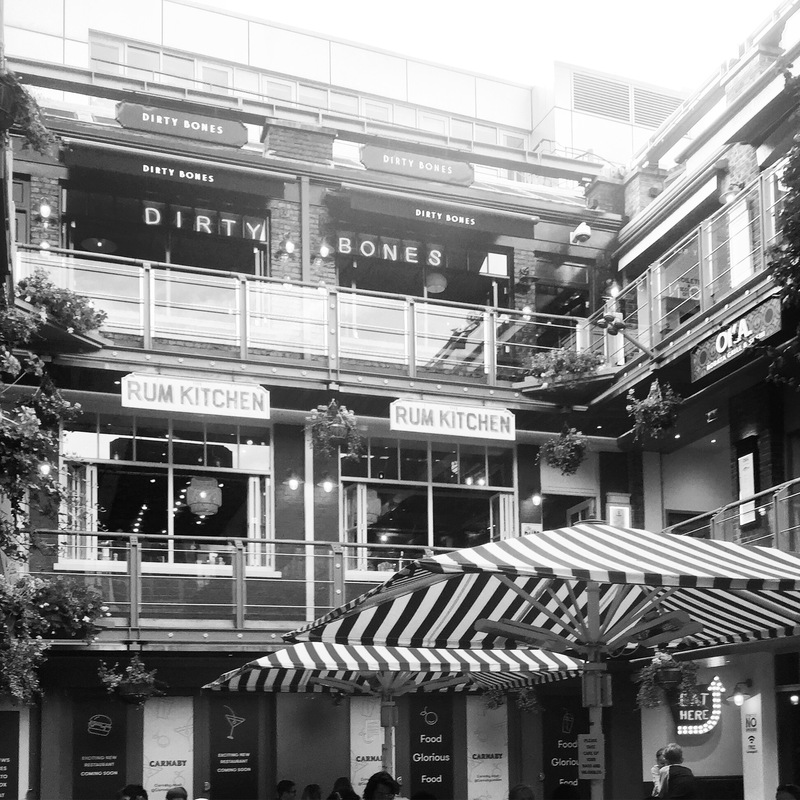 Carnaby Street, along with the collection of streets surrounding, gives off a feeling of proper (borderline “posh”) coolness – almost the hipster antidote – where true pioneers of the good vibes flourished. What do I mean? I mean Jimmy Hendrix, The Rolling Stones, Famous 60s Fashionistas, Mods, Punks, and all of their faithful retailers selling the threads that thrust them into stardom. I mean, check out these guys to the left. How awesome do they look? It’s like Megan from Mad Men level coolness (though Joan was always my favorite). Just walking on these streets, breathing in the air, I get the sensation that just for that moment, I get to be on the inside of the palace walls, live like a true star, like a true leader and influence in counter culture …that is until I see all the other 100s of tourists taking pictures and living in my dream. I do not belong. I am not worthy. But for these few moments, I am in. This place isn’t just super cool, it is “superior cool,” and my “borderline cool” self only knows the edges of what to do and where to go. So any suggestions are welcomed – I promise not to kill the vibe. 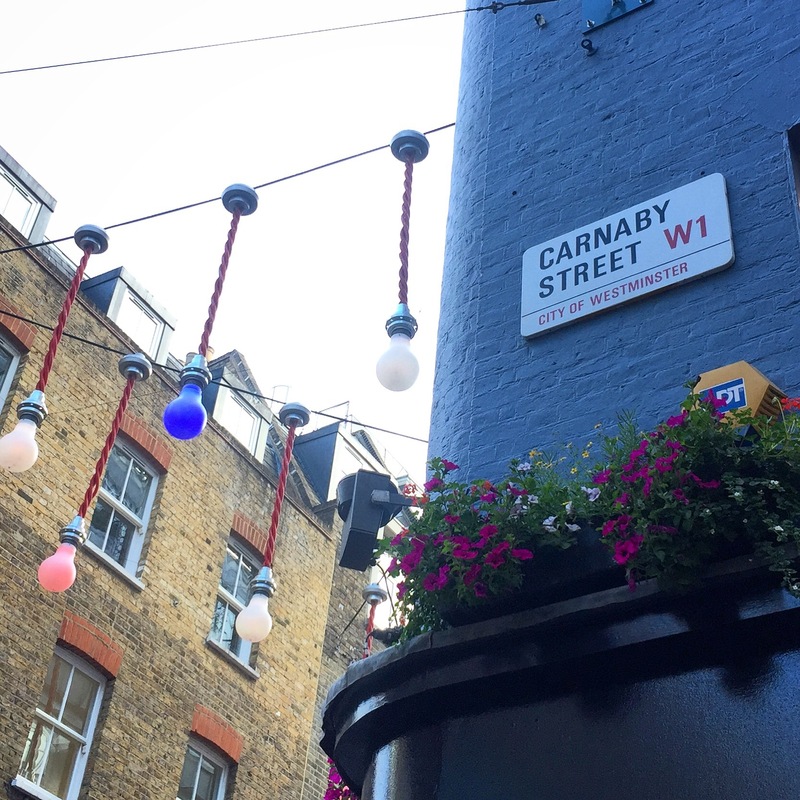 As for what I do know – there is so much to see and do in this area, and on any given day after 11 am (and maaaybe even earlier – we are in Britain after all) you will see thirsty pub-goers in the streets under the colourful hanging light bulbs with pints of amber ale in their hands. There are restaurants and bars galore, and the shopping on Carnaby street leaves nothing to be desired (and nothing left in your credit limit either). 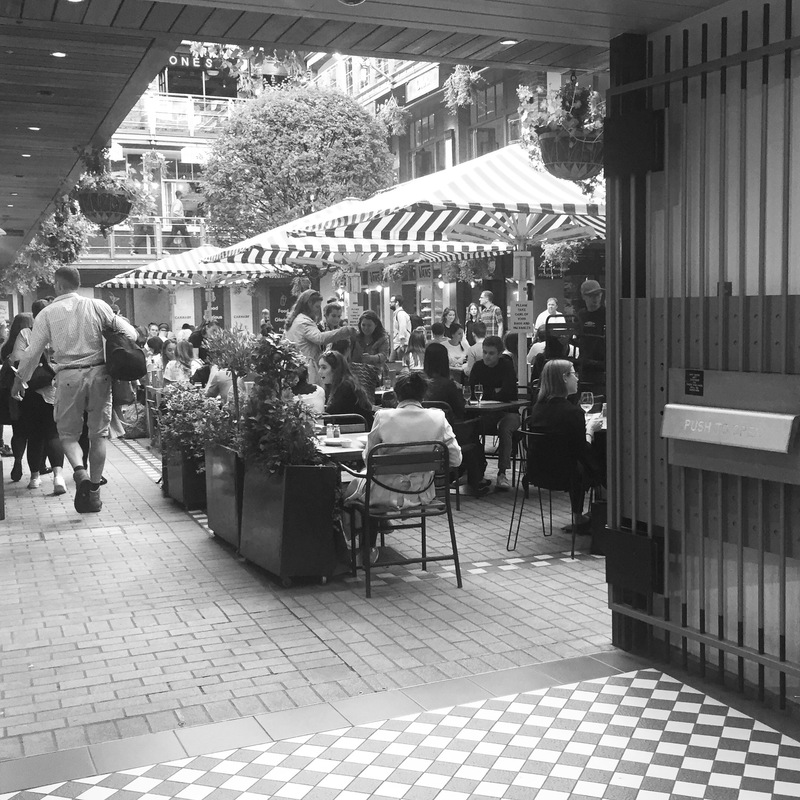 One spot that is not to be missed is Kingly Court, which is a small courtyard tucked away – almost hard to spot at first if you’re not looking for it. There are about 20-ish restaurants & bars in the square across 3 stories, including places like the Rum Kitchen, Wright Brothers ( … oysters! !…), a place I passed that looks like it’s got banging chicken burgers, and a TRUE gem and speakeasy – Cahoots (which I will describe in more detail in my next post). 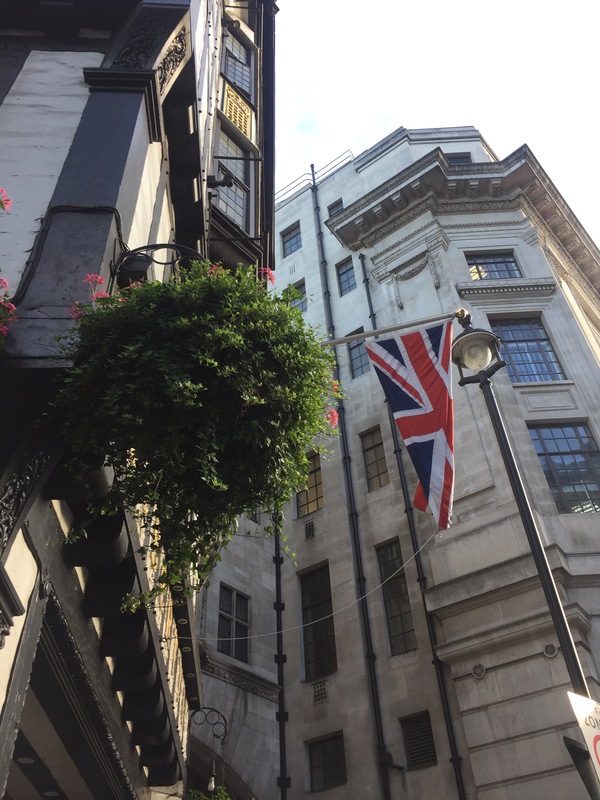 Random factoid – not only is Carnaby known for its influential pop culture / counter culture eminence – it is also famous for housing one of the first buildings where Londoners with the plague were annexed to as to not infect the rest of the population. So yeah, this area’s got that going for it, too.